The development is a perfect combination of space and light with comfort and privacy. The buildings have no more than 3 floors and no more than 3 apartments per floor. Experience complete relaxation at the communal swimming pools and beautifully landscaped gardens melting perfectly with the clean architecture. You will most certainly also profit from the easy access to the exceptional facilities of La Quinta – an ideal location for your peaceful new home. The apartments blend sound nature, tradition and modern design by naturally merging into the idyllic surroundings of the stunning natural park. Their elevated South and South-West facing mountainside position ensures panoramic views and makes the most of the spectacular natural light and soothing Mediterranean sun. Each of the 2 or 3 bedrooms have incredible views of the coast to Gibraltar and on a clear day as far as North Africa. From the peace and privacy of your new home you can simultaneously enjoy the exciting cultural and continental mix of the glitzy Costa del Sol. Furthermore, you are part of a green and intelligent home that puts emphasis on sustainability: The urbanization is a one of a kind BREEAM certified development in Spain, a leading global sustainability assessment organization. 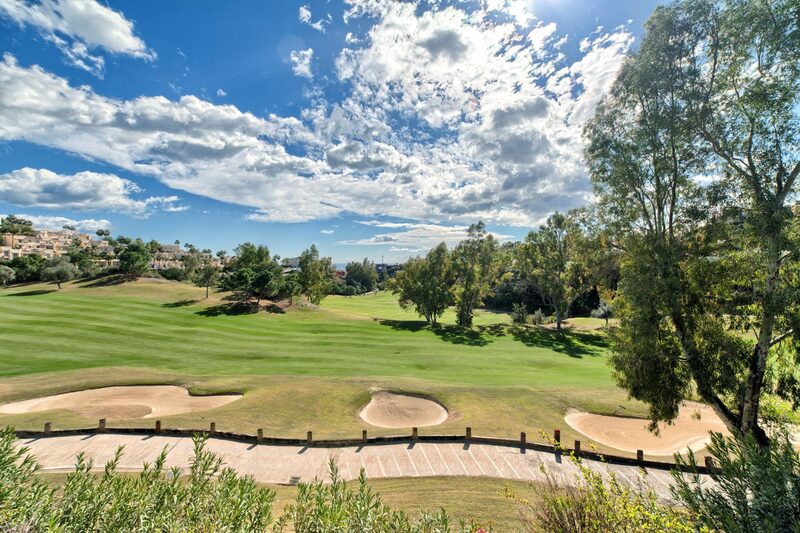 La Quinta Golf & Spa Resort– Will make golf-lovers’ hearts beat faster!